Following the Russian Revolution, the cultural and political landscape of Russia was strewn with contradictions. The dictatorship, censorship and repression of the Communist party existed alongside private enterprise, the black market and open debates on Socialism. 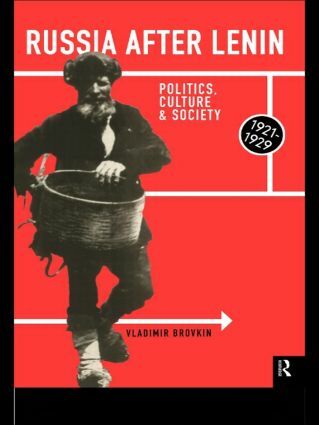 In Russian Society and politics 1921-1929 Vladimir Brovkin offers a comprehensive cultural, political, economic and social history of developments in Russia in the 1920's. By examining the contrast between Bolshevik propaganda claims and social reality, the author explains how Communist representations were variously received and resisted by workers, peasants, students, women, teachers and party officials. He presents a picture of cultural diversity and rejection of Communist constraints through many means including unauthorised protest, religion, jazz music and poetry. In Russian Society and Politics 1921-1929 Vladimir Brovkin argues that these trends, if left unchecked, endangered the Communist Party's monopoly on political power. The Stalinist revolution can thus be seen as a pre-emptive strike against this independent and vibrant society as well as a product of Stalin's personality and communist ideology. Vladimir Brovkin is John Olin Fellow for History and Political Philosophy at the Russian Research Center, Harvard University.